Give your family, customers, and employees the opportunity to relive their childhood with an amusement crane. 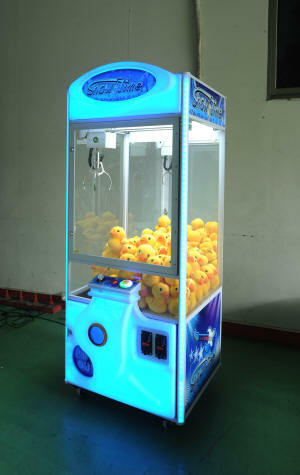 Our amusement cranes are machines that you put quarters into to grab the toys and treats inside. 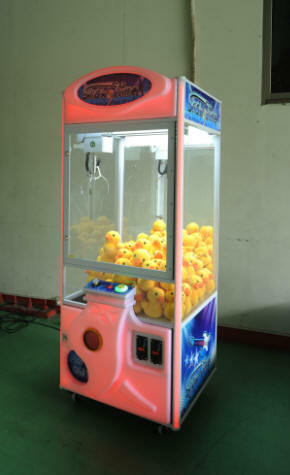 Whether you have your own children or simply love the memories of finally seizing the prize, an amusement crane can provide hours of fun and nostalgia for any home or business. Whether you have a dedicated game room or want to provide your employees with some entertainment, you can use an amusement crane to decorate your home or business. We provide amusement cranes to businesses such as bowling alleys, skating rinks, movie theaters, and arcades. At Birmingham Vending Company, we help both homeowners and business owners find the arcade equipment they want. We are equipped to pack, ship, and service your amusement crane. Whether you need one, a dozen, or more, we can help. Our inventory of amusement cranes includes multiple color choices and different model sizes to best fit your business or home. At Birmingham Vending Company, our goal is to help you feel 100% satisfied with both your amusement crane and our quality service. With over 85 years of experience in the Birmingham, AL, area, we are one of the most established and knowledgeable game room, arcade, and coin-operated equipment distribution companies in the country. We not only help you to maintain older equipment models but also keep up-to-date on the latest equipment available. 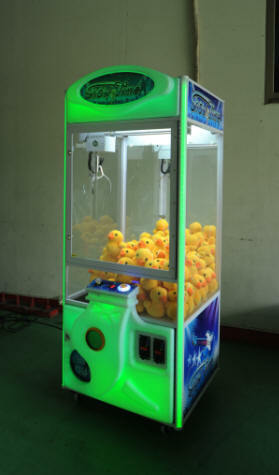 In addition, our close relationships with manufacturers ensure that we have the best insider knowledge to sell and service your amusement crane or other pieces of game room equipment. Call us at 205-324-7526, and we'll help you to find the perfect amusement crane for your needs. Out earns a standard crane machine. Available in 30" and 40" models.